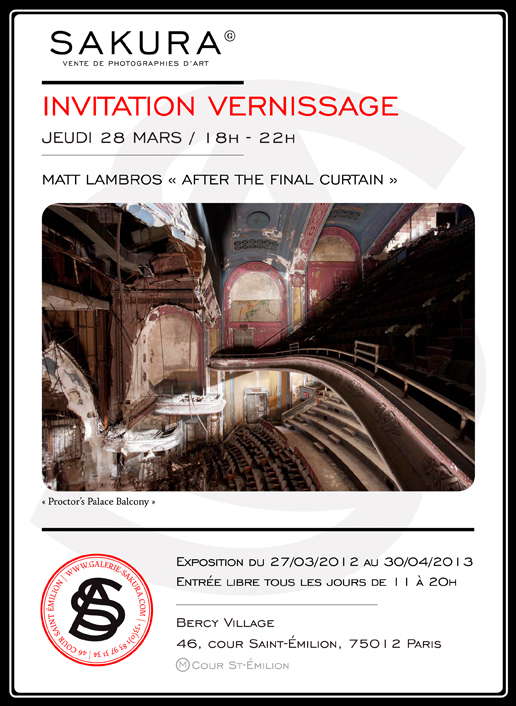 I’m happy to announce that 15 of my images are going to be shown at the Sakura Gallery in Paris, France from March 27 to April 30, 2013. Sakura is located at 46, cour Saint-Emilion, 75012 Paris. For more information about the gallery check out their website : http://www.galerie-sakura.com. That must be thrilling as an artist! 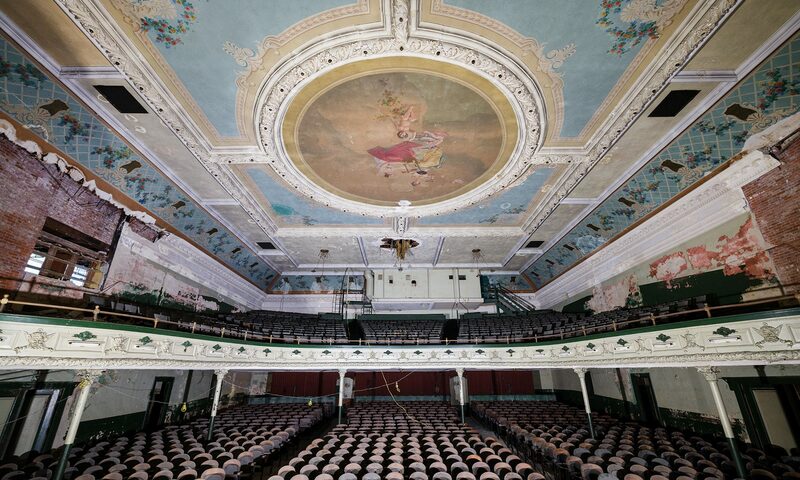 To get the saddest theatres out, it gives hope to those that can be saved. Great to see you being recognized, and Vernisage is so very highly respected. Congratulations Matt!